I started working the spring/summer after I turned 16, in 1981. My job search pretty much consisted of scanning the want ads in the paper, a process of elimination more than anything – what could I do where my hearing loss wouldn’t cause a problem? Right away I tossed out any kind of job with heavy phone work – answering phones at a pizza place, being a receptionist, telemarketing. Besides needing an amplifier to hear on the phone (and amplified phones were not that common in 1981), I have a phone phobia…something that I know isn’t limited to people with hearing loss, since I know of many people with fine hearing that hate the phone as much as I do. I also skipped any kind of waitressing job, because I didn’t think I could hear well enough to take accurate orders in a loud restaurant. Since 1981, I’ve also worked as a cashier, keypunch operator, floating help in the office of a local school district (data entry, filing, Xeroxing, that kind of thing), file clerk, word processing operator (on a Wang word processor…before computers came along), and administrative assistant to a Human Resources manager. I got the cashier job because my boyfriend’s mom was the supervisor in charge of cashiers; she just hired me without even really bothering to interview me. I stayed there for about a year and a half (half a year while I was also working at the school district). 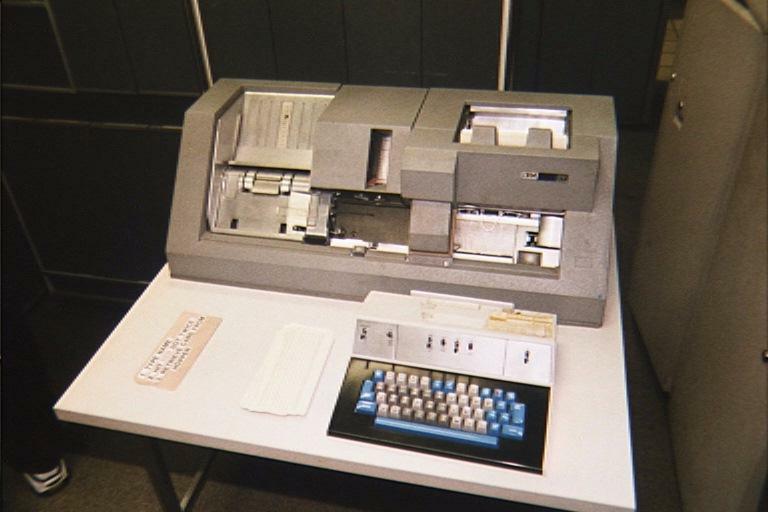 I spent two years doing the keypunch/floating office help thing at the school district; I got that job because my Office Machines teacher recommended me when they called her looking for a student that did well on the keypunch machine. They actually called me and offered me the job; I didn’t even know it existed! I worked for 10 years doing the file clerk/word processing job at McMaster-Carr Supply. I found out about that company through one of the secretaries at the school district, when my job there was coming to an end. Her daughter worked at McM and she kept telling me I should apply. I applied and kept calling about my application until I finally got an interview, after a couple months of persistence. I left McM after Paige was born, and was a stay at home mom for a couple of years. Then my (now ex) husband and I separated and I needed to find full-time work. I found the admin assistant job in the paper; that’s when I applied to be a document clerk (no phone!) and the HR manager convinced me to be her assistant instead. I stayed for five years until they eliminated my position and laid me off in 2001. That job also solidified my determination to never get a phone-heavy job again; all the phone work traumatized me and left me stressed out and sick all the time. So basically, I tend to stay on for a long time at my jobs (mostly because I hate job hunting) and I tend to find out about them in weird ways, although I always looked through the paper when I was job hunting. It’s just that it never really paid off; only one of the jobs I’ve had in my life came from an ad in the paper. I haven’t really looked for a job since 1996, which was when I found my last job. After I was laid off, we ended up taking the candle business full time in May 2001 and it took off in a huge way. That was the best – working from home (although we worked constantly, night and day), no phone work at all, being creative and doing something I enjoyed….all while being here for the kids while they were growing up. Now that the business has slowed down so drastically, I’ve started looking around again for some very part-time work to make a little extra money. But I’ve discovered that job hunting the way I used to is a thing of the past. It’s all online now, and I’m pretty much clueless. Keypunch machine…a blast from the past! I used this in 1982-3. So I scan the ads, reject the idea of most of them (many things, like data entry, require you to also cover for the receptionist like I did at my last job…NEVER AGAIN OHMYGAWD) and keep on looking. Why can’t it be like it is in the books I read? In one, this nice lady (who loves to cook) loses her husband to an unexpected heart attack. A bunch of different single guys on her block then approach her to see if she’ll make them dinner for a weekly fee. (Come on, really?!) In another, a lady has a traumatic brain injury and can no longer do her high-powered executive job. Eventually she learns how to ski using accommodations through an organization that helps disabled people modify equipment, so they can keep skiing and doing recreational activities they enjoy. And gee, they lose their director and she would be PERFECT for the job! If only real life worked that way. Anyway, it’s been interesting, job hunting in 2013. I don’t have the in-person social network that I did when I was younger, or I would just put out the word and figure I’d get a job that way. I’ve wracked my brain trying to come up with another home-based business that does not involve selling anything (or buying materials and making things from scratch, like we did with the candles…too expensive in the long run, which is why we tapered the business back). So far I haven’t come up with anything, but the candle business was never planned — it just kind of happened — and it turned out to be great while it lasted. Who knows what might come my way this time?